Late January rains raise water levels at the Middle Ranch Reservoir to only 27 percent of capacity. 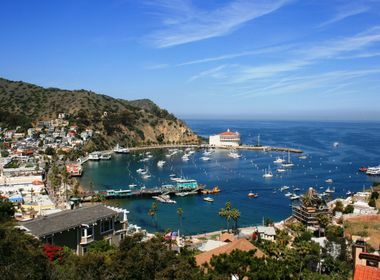 Residents of Catalina Island received some welcome relief from the many years of drought in the last few weeks. And although significant rain fell in late January, the island remains in the midst of a historic drought. The impact of California’s historic drought, combined with less-than-expected rainfall last year, has meant additional water rationing for the island’s residents. 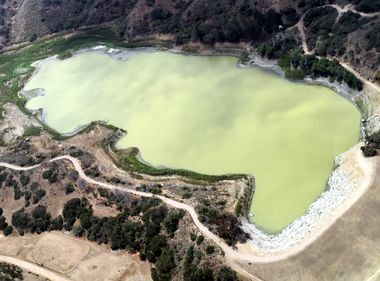 Catalina has been in mandatory 25 percent water rationing since August 2014 because of the drought and those conditions led Southern California Edison to implement Stage 3 water rationing last September. After the latest rains, measurements taken at the Middle Ranch Reservoir on Jan. 26 show the current water level at 283 acre-feet and that the reservoir gained 146 acre-feet of water from the previous week, which was at 137 acre-feet. Island residents and businesses have made extraordinary sacrifices and achieved significant conservation results, but more rain is still needed to fully replenish the groundwater reserves. SCE officials are taking the long view to managing the water resources on the island during this critical period and into the future. 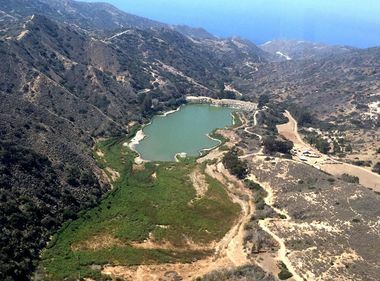 “This week, SCE began work on a comprehensive analysis of Catalina’s water systems, following the latest rains, to fully understand the impact to our aquifers and to consider all the options in regards to water-rationing levels and water use on the island,” said Hite. SCE expects that work to continue through next week and it will communicate to island stakeholders and the public the results of the analysis and what impacts the latest rains could have on rationing levels as soon as that information is available.